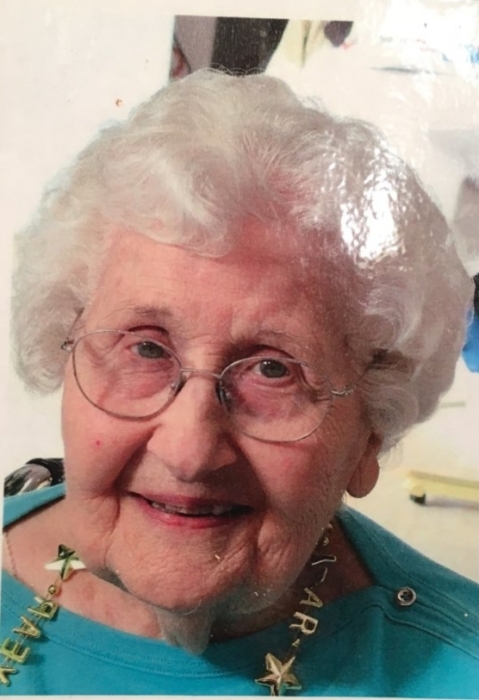 Ruth Holt, age 97, of Brookfield, died Sunday, February 3, 2019 at Delmar Gardens of Overland Park, Kansas. A graveside service will be Friday, February 8, 2019, at 11:00 a.m. at Parklawn Cemetery in Brookfield with Pastor David Blakely officiating. Memorials to North Central Missouri YMCA may be left at or mailed to Wright Funeral Home, P.O. Box 496, Brookfield, MO 64628. Maxie Ruth, daughter of William and Nannie Marie (Bridges) Hunter, was born June 29, 1921, in Denver, Missouri. On July 9, 1940, she married Hack Holt who preceded her in death on September 22, 1993. Ruth was a member of Park Baptist Church in Brookfield where she was active for many years. She was also a member of the North Central Missouri YMCA in Brookfield. Survivors include two nieces, Carol Rountree of Rogers, Arkansas, and Leslie Youngs and husband, Phil of Leawood, Kansas; two nephews, Bill Hunter and wife, Gail of Berryville, Arkansas and Jim Hunter and wife, Andrea of Kansas City; and several great nieces and nephews. Her parents, William (Hop) and Nannie Marie Hunter; two brothers, John Hunter and Glenn Hunter; one sister, Wilma Thompson; one niece, Nancy Zeorlin; and one nephew, Bill Hunter also preceded her in death.